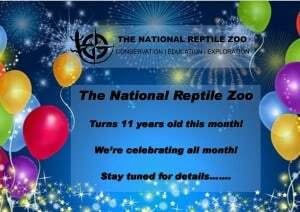 Once again we’ve had a very busy month here at The National Reptile Zoo so we’re here to tell you what we’ve been up to! 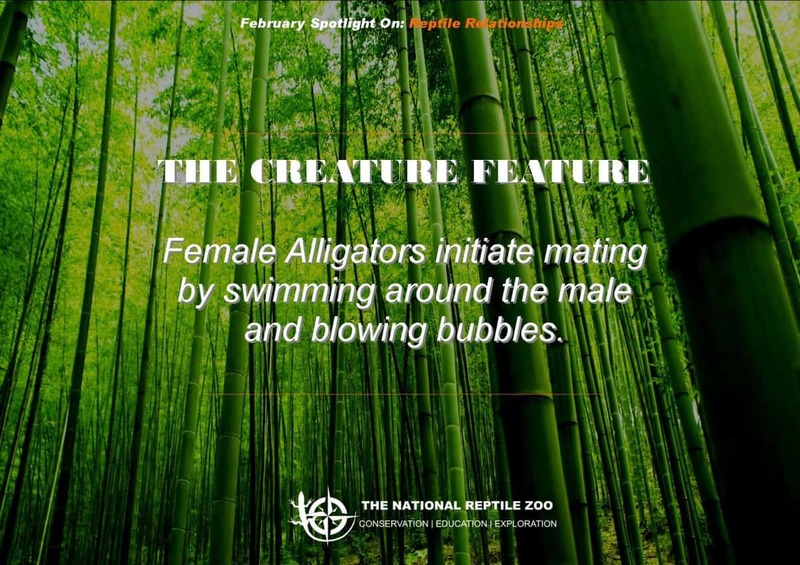 February’s spotlight was on Reptile Relationships and our keepers /educators spent the month telling our visitors all about the mating habits of our reptile residents! 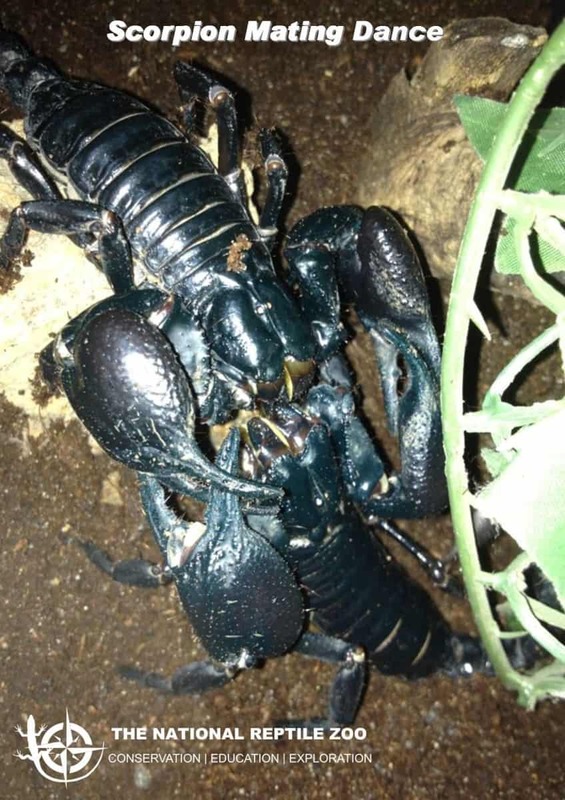 Scorpions are known to take part in a ‘mating dance’! Things got very romantic here at The National Reptile Zoo on the international day of love, Valentine’s Day! 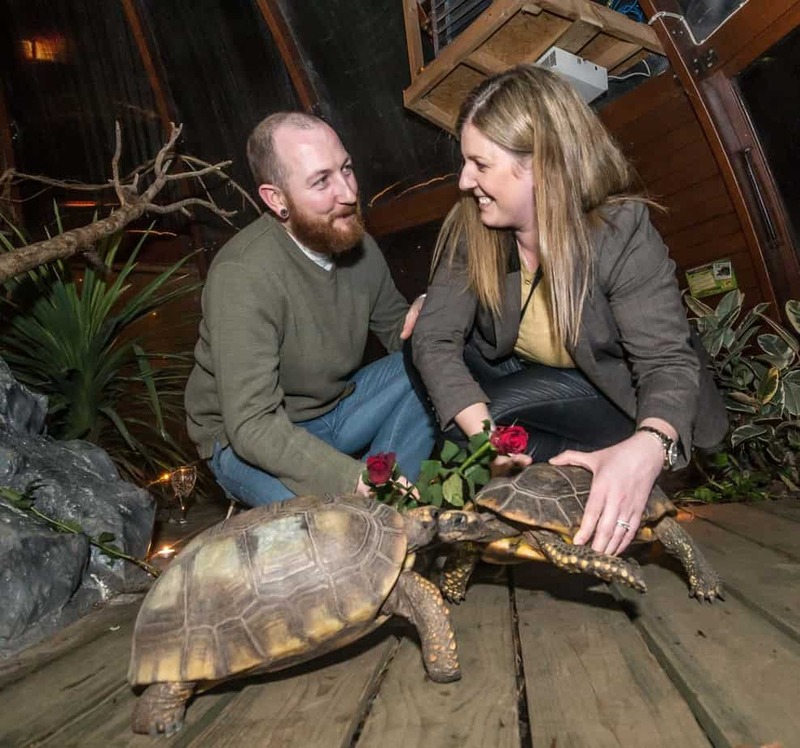 We were celebrating the FIFTH WEDDING ANNIVERSARY of our Yellow Foot Tortoise, Michael (45) and Michelle (50) and we invited four lucky couples along for a romantic date night they would never forget! Pictured above: Eric & Gillian Corcoran with Yellow Foot Tortoise (Michael & Michelle). Photo by Pat Moore. Guests were treated to Prosecco on arrival, followed by a romantic candle-lit picnic with scrumptious food provided by Glasraí & Goodies. They were then given a guided tour of our Zoo by Jonny, our Animal Collections Manager. This exclusive after hours tour really was a VIP experience! Our couples were then guided inside our Tropical Walk-Through Dome, the pathway inside lit only by the gentle flicker of candles, setting the scene for the ultimate romantic moment as the couples met Michael & Michelle and got to feed them with red rose petals! 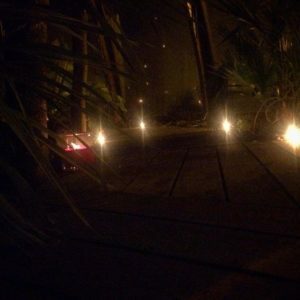 Above: Candles lining the pathway inside our Tropical Walk Through Dome! 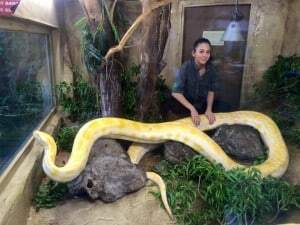 The biggest snake in Ireland is now housed in The National Reptile Zoo! February saw Pearl, the biggest snake in Ireland, at 17ft long and 100kg in weight, being moved into her new home here in Gowran. As with every new reptilian resident, Pearl first had to spend a few months in quarantine but is now available for the public to see, in her new exhibit. Pearl, pictured above with our Keeper Christina, is a seven year old Burmese Python. 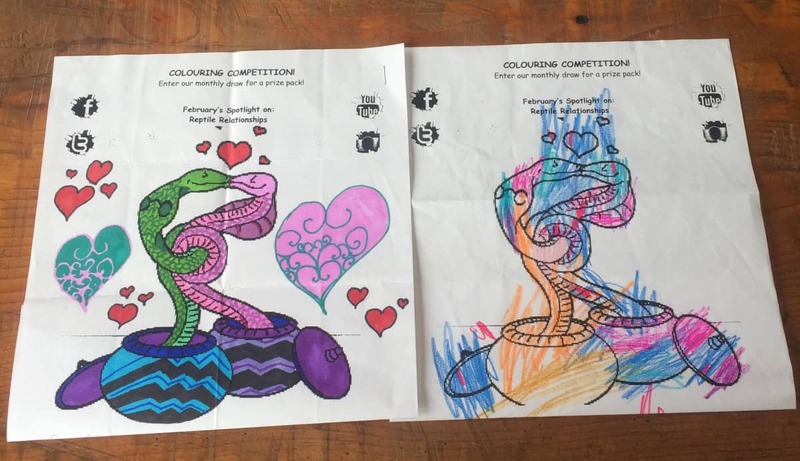 Huge congratulations to Sarah (aged 9) from Co.Tipperary and Molly (aged 3) from Co.Wexford! 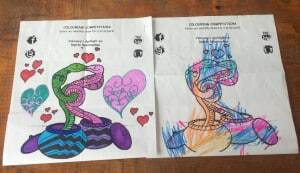 Sarah and Molly were chosen as the February winners in our monthly colouring competition! Your artwork is great girls, keep up the excellent work! Our monthly Facebook ‘check-in’ winner is Dan Malone, from Dublin. Congratulations Dan, we look forward to seeing you and your family again soon! Whether you had a Radical Reptile Party here in NRZ or our Zoo To You team visited your home, we were thrilled to be part of your celebrations! We’d like to wish a massive happy birthday to everyone that celebrated their birthday with us in Febraury: Valentine, Richie and Joe! If you want to have your party here in The National Reptile Zoo, with food provided by Burger King, please click here for more information. 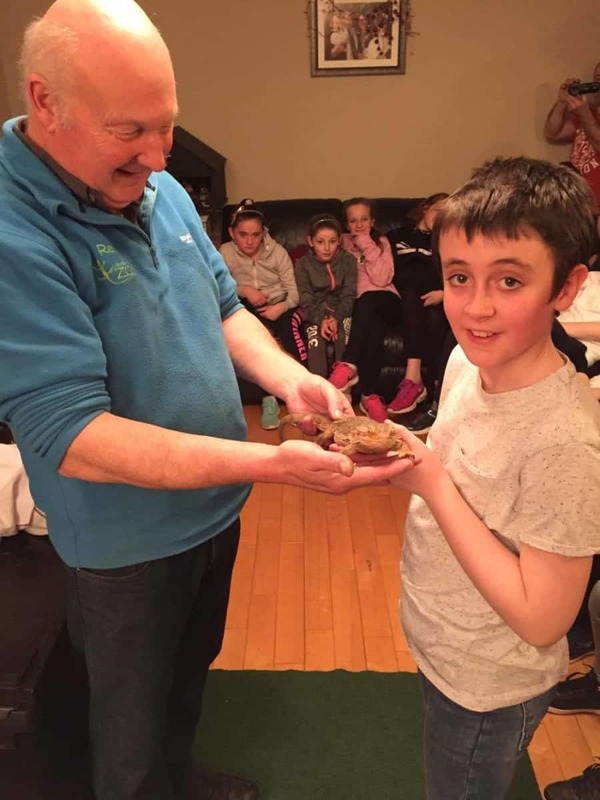 If you wish to find our more about our ‘Zoo To You’ team for your Communion, Confirmation, Party or Event, click here! Pictured above: Nick, an educator from NRZ at Fionn’s birthday party in his home last year! You may have seen videos across our social media channels of Zoo Director, James, flying his Microlight plane to work. 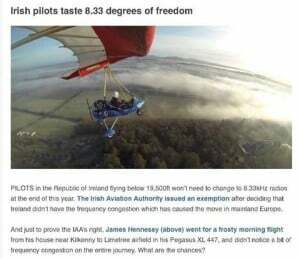 James spent last year training to get his pilots license and was featured in the Microlight Flying eNews in February too! You can watch the video of his flight here, can you spot the NRZ logo on the plane? 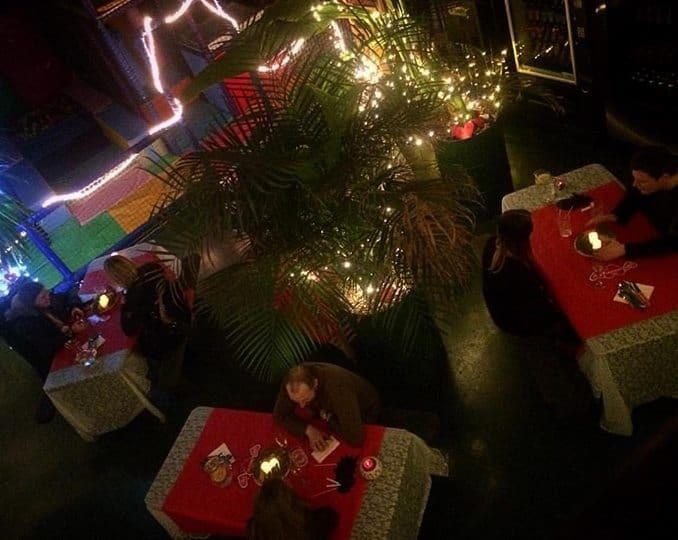 March is officially our birthday month and to celebrate turning 11 years old, we will be running special offers and events all month! We’ll be announcing our March celebrations in the coming days!